Freeflowing89 has "a ton of music and documents on an HP laptop" that's not "even close to starting up." Fixing or replacing the computer is one thing, but in the meantime, Freeflowing needs to get those files back. The easiest, fastest, and cheapest way to recover files from a dead PC doesn't require any access to the computer. You simply restore the files from your most recent backup. Unless, of course, you don't have a recent backup. And I'm guessing you don't. People with up-to-date backups don't ask me this sort of question. So let's look at other, less desirable fixes. First, try booting the computer in Safe Mode. In Windows 7 and earlier versions, boot the computer and quickly and repeatedly press F8 before Windows starts to load. If the computer is at all successful, you'll get a boot menu from which you can select Safe Mode. Windows 8 is trickier. F8 or Shift-F8 might work. But it might not. If you succeed in booting into Safe Mode, you can use Windows Explorer (File Explorer in Windows 8) to find the files and drag them to an external drive. If that doesn't work, try booting a live Linux variation from a CD or flash drive. You generally download a live version of Linux as an .ISO file. Double-clicking it should start the process of burning the operating system to a bootable CD. 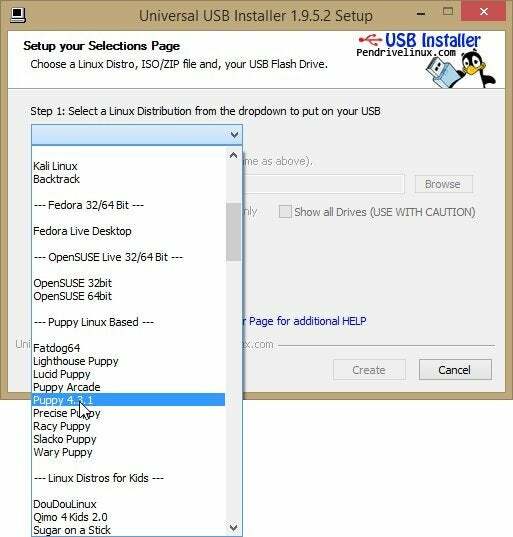 If you don't have an optical drive on the broken PC, use the Universal USB Installer to set up a bootable flash drive. Just about every distribution of Linux is available in a Live version, which means you can boot it without installing it. Consider the popular and powerful Ubuntu, the small and quick Puppy, or PartedMagic, which comes with a lot of repair tools. I discuss PartedMagic in detail in The Bootable Maintenance Flash Drive, but be warned: Since I wrote that article, this once-free program now costs $5. If that doesn't work, you'll have to remove the hard drive and get to it through another computer. This is a reasonably easy task, especially with a laptop. Check your model's documentation—which is almost certainly online—to see how. 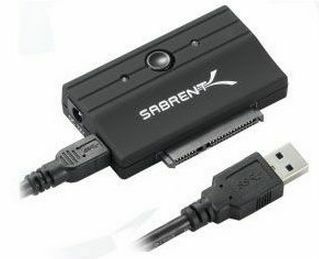 Once you've removed the drive, use a SATA-USB adapter to turn it temporarily into an external drive, so you can connect to it to another computer. These adapters generally run about $20. If you still can't get anything off of the hard drive, you'll have to use a professional data recovery service—an option that can cost you hundreds or even thousands of dollars. I've never had to use one myself, but a PCWorld visit to DriveSavers last year offers a peek into the art and craft of prying data off dead drives.